"In a drunken, suicidal state on a stormy March night, Jackson Pollock (1912–1956) laid down the foundation of his masterpiece Blue Poles: Number 11, 1952. He unrolled a large canvas across his windswept barn and, using a wooden stick, dripped the canvas with house-hold paint from an old can." 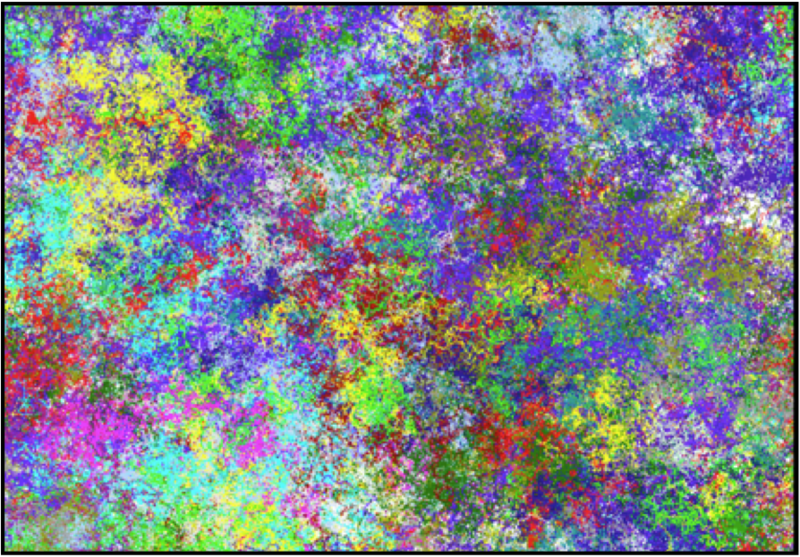 Physicist Taylor goes on to explain in his article how his analysis of Pollack's painting revealed that the structure underlying Pollack's random dribbling of paint onto canvas is fractal. To view the Scratch construction of a simulated Pollack, click on the following link. 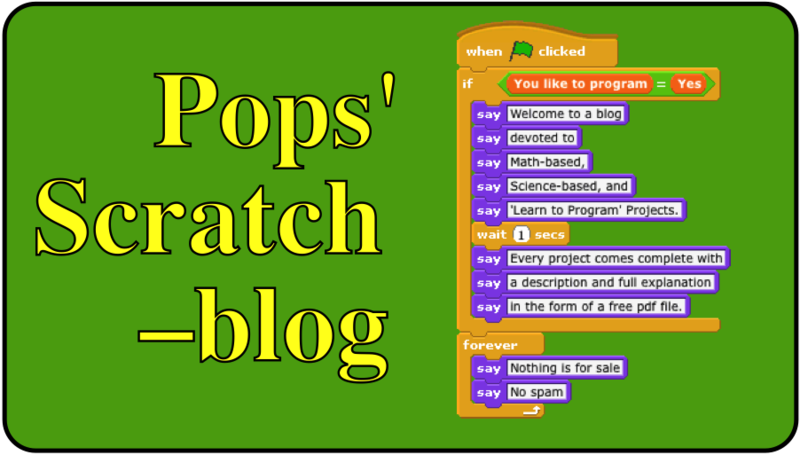 To study the scripts, download the Scratch project.